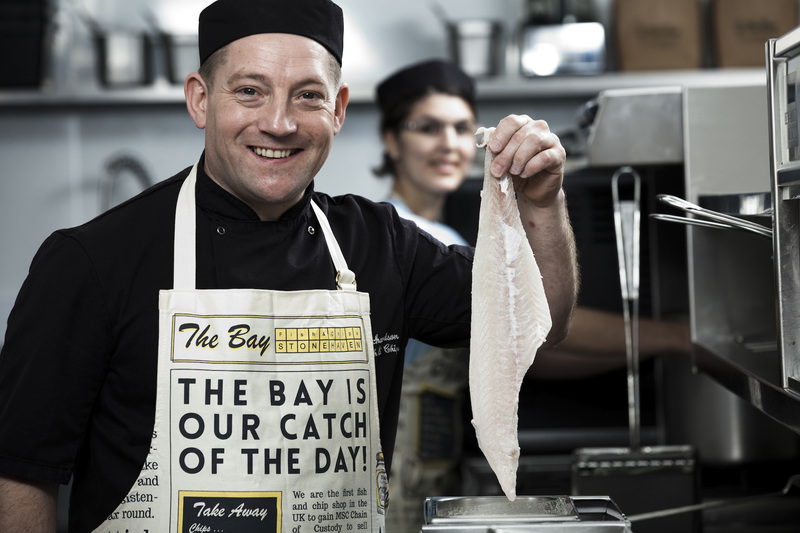 The Bay Fish & Chips, an innovative and fresh-thinking fish and chip business, announces new partnerships with ESS Support Services Worldwide, part of Compass Group UK and Ireland, for the distribution of its award-winning Premium Bay Batter. The new contracts will see the batter distributed to the restaurants and military messes across the whole of the Defence Sector and Government Services, with several thousands of employees and high-ranking officials eating it on ‘Fish Friday’ every week. These contracts have been won off the back of a one-year strong partnership with Compass Group, where the batter is already being enjoyed by ESS offshore workers in the North Sea, used in conjunction with Jimmy Buchan’s Amity Seafood. “I’m absolutely delighted to be in a growing partnership with Compass Group for the distribution of our bespoke batter. The new contracts come at an amazing point for the business as we’ve just celebrated our 10th birthday. I spent nine years working in the Navy and ever since I left to pursue my dream of working with food it has always been a personal achievement of mine to be able to work with Compass Group and give something back to the on and offshore sectors.